We carry a vast amount of designer sunglasses in stock, so whether you are looking for Ray Ban, Paul Smith, Stella McCartney, Chloé or something else, we are always ready to help and to make certain that you get what you are looking for. Gone are the days when sunglasses were just worn to keep the glare of the sun out of our eyes; now designer sunglasses are so much more a fashion statement and a declaration to all around us that this is how we want to look and this is us; our whole personality. For this reason, it is extremely important that when you select your designer sunglasses, you make the right choice. 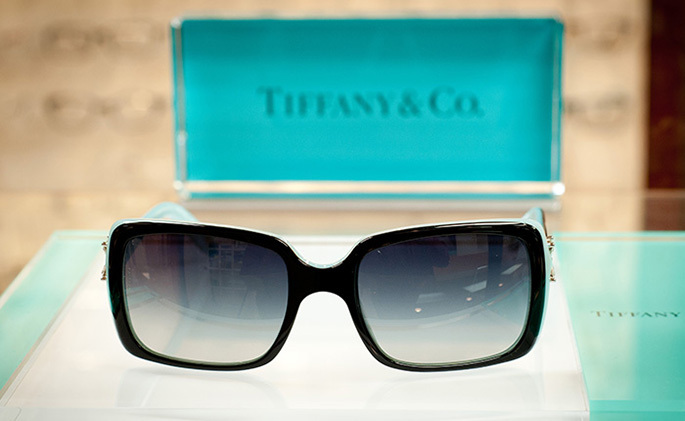 Obviously they will come with your prescription lenses fitted, but there is so much more to finding the right designer sunglasses than just getting the right lenses put into them. There literally are so many different styles of designer sunglasses to choose from. If we start with the shape of the frame, you have the classic style, the ‘John Lennon’ round shape, the sophisticated look and even the ever-popular Aviator style. You may be looking for a particular period style such as the 1960’s or 80’s look, or maybe you simply want to be bang up to date and where the latest fashion styling that suits the way you look. As with normal glasses, sunglasses also have to suit the shape of your face and your colouring. It is simply amazing the difference that it can make to one’s face once a pair of sunglasses are donned. You may have a preferred shape that you always go for, so it will just be a matter of finding the right frame colour. Optionally, if you want a change or simply don’t really know what looks best on you, our fully trained and qualified staff are always delighted to help. They deal with many clients every day and it is our mission as a company to ensure that when you leave our store in Warrington, you do so as a delighted customer! With most of our patrons coming back to us year after year, can be assured of first class service and attention to detail. We carry a vast amount of designer sunglasses in stock, so whether you are looking for Ray Ban, Paul Smith, Gucci, Chanel or something else, we are always ready to help and to make certain that you get what you are looking for. Whether you are looking for a pair of sunglasses to wear every day, something for a special occasion or possibly a pair or two for a special holiday, our vast selection is bound to have something to suit you. So don’t wait for the sun to shine! Pop in and see us now and be tempted by our magnificent range of designer sunglasses. We have something for everyone.